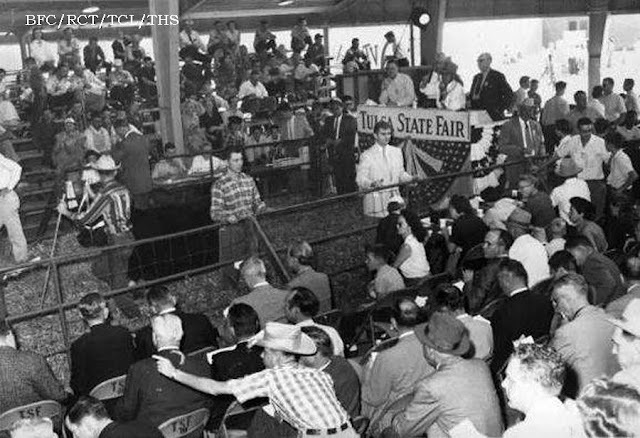 State and county fairs have been organized in the United States since 1841, when the first such gathering was organized in Syracuse, New York. 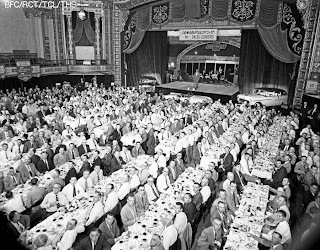 Food — both its production and enjoyment — has been their centerpiece from the very beginning. The judging of livestock in the U.S. dates to the 19th century. 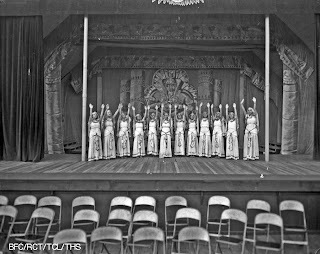 Credit for the idea of the state fair is often given to Elkanah Watson, a wealthy New England farmer and businessman who showcased his sheep in the public square of Pittsfield, Massachusetts in 1807. Recipe judging is one of the oldest kinds of competition at the fairs, dating to the early 1800s. Butter sculptures, introduced initially by the dairy industry to promote its product, date to 1903. The Tulsa County Free Fair began in 1903 at the Western Association baseball park at Archer and Boston. 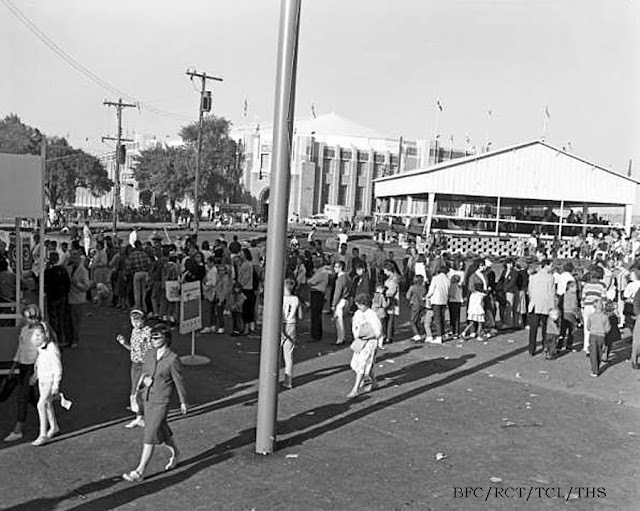 As you can see, horse racing was very popular. 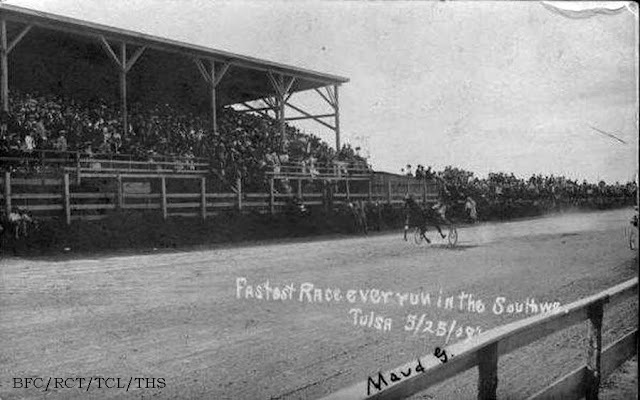 This postcard, postmarked June 20, 1909 is inscribed with “Fastest race ever run in the southwest, Tulsa 5/29/09 Maud G.” Maud won her owner $1,000 in this race. 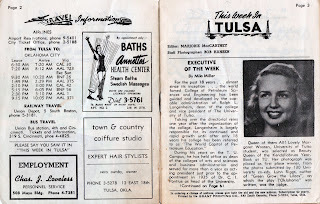 In 1913, a 16-acre tract of land north of Lewis and Admiral was purchased to provide more suitable grounds when Tulsa landed the International Dry Farming Congress that brought agriculturalists from all over the world. 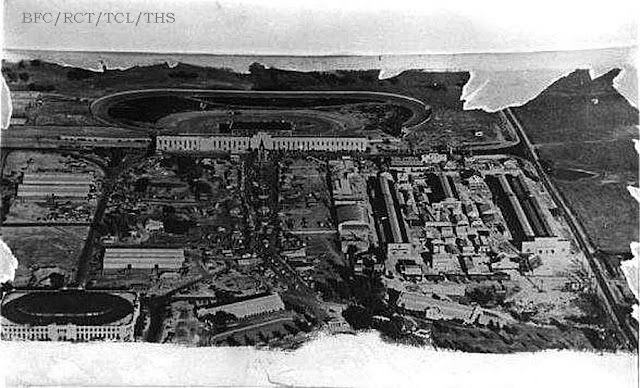 It, too, had a horse track. 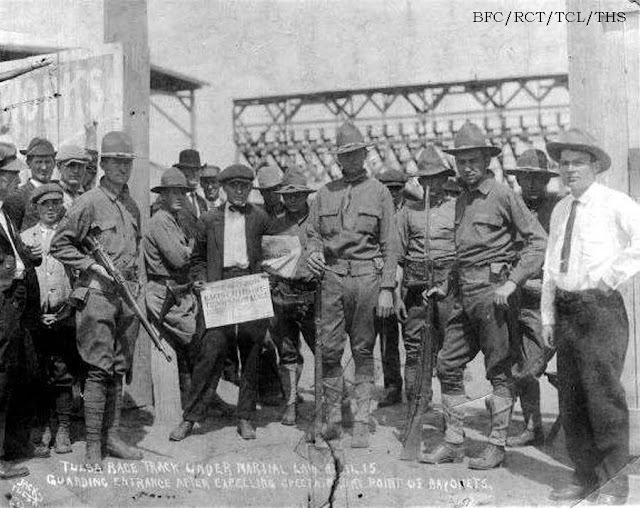 The Tulsa racetrack came under martial law on April 15, 1917. 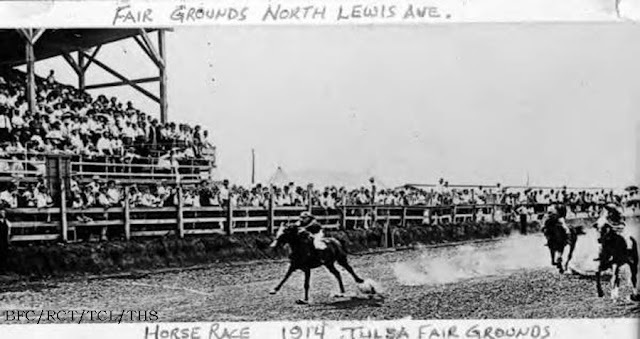 The governor sent National Guard troops to the racetrack at the Tulsa Fairgrounds on North Lewis, to stop illegal gambling. 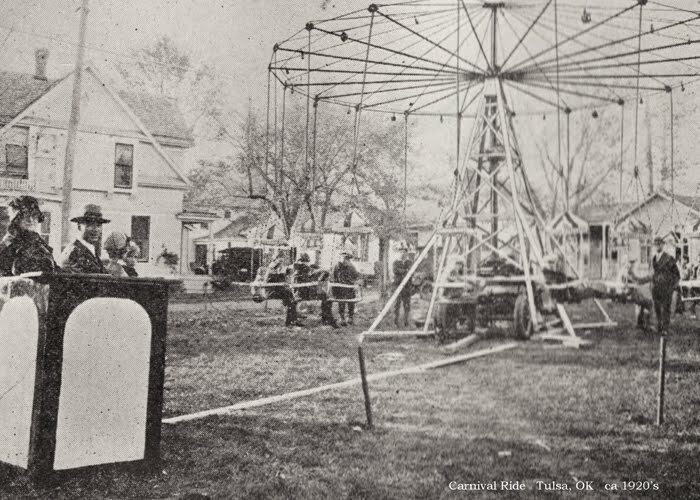 Street fairs and carnivals were not a new thing to Tulsa. 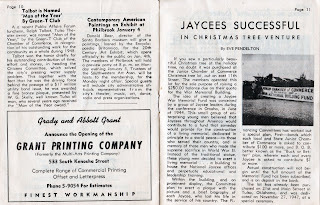 In 1923, thanks to a land donation from J.E. 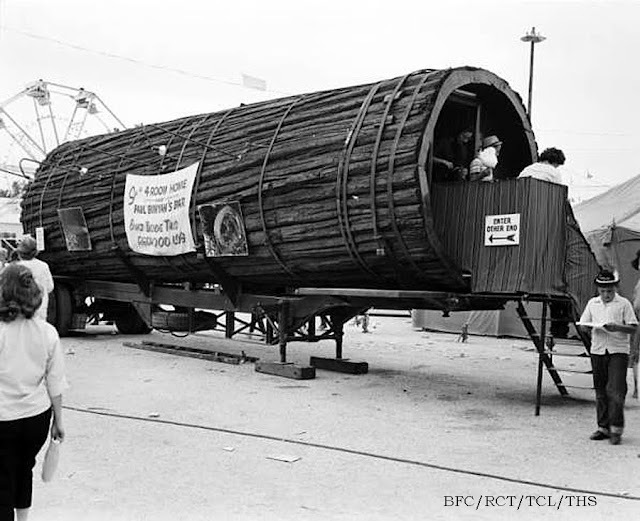 Crosbie, the fair was moved to a portion of the present Expo Square between 15th and 21st Streets. 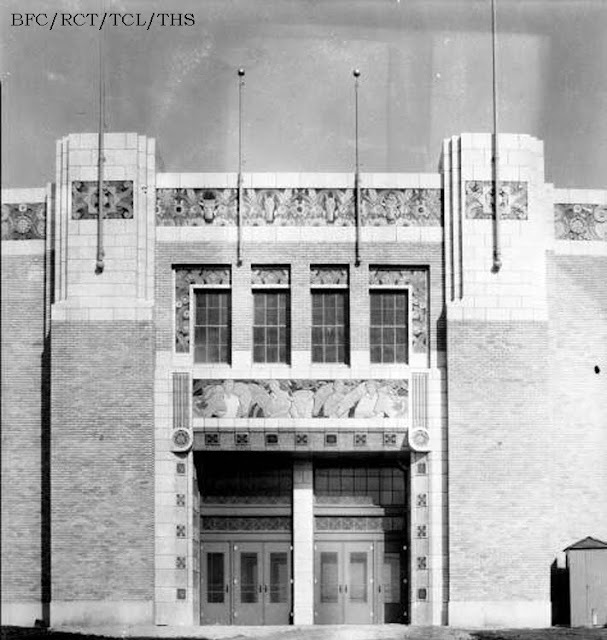 Passage of a major bond issue of $500,000 provided for the construction of the Art Deco Pavilion in 1931. 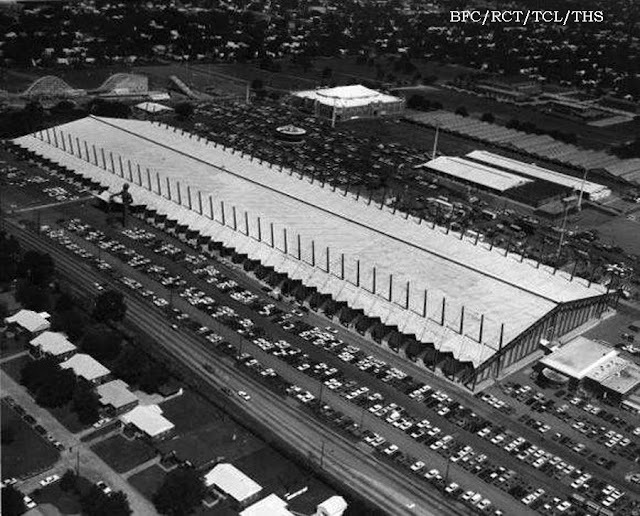 Looking east at the Tulsa State Fairgrounds in the 1930s (below). 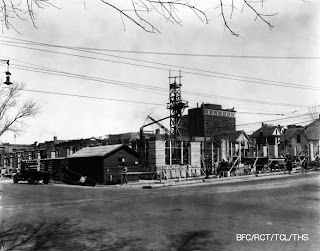 The fairgrounds bordered by Louisville on the west, Yale on the east, 15th and 21st Streets on north and south. The new arena building is at the lower left. The racetrack and stands are at the top. 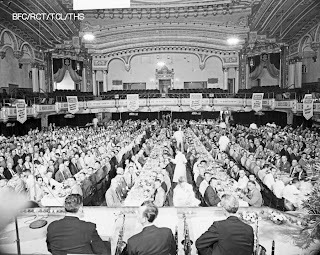 In 1935 the fair went from a county “free fair” to “state fair” status. 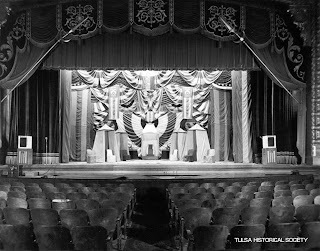 Exhibit halls were built to house displays of handicrafts, needlework, canned goods, and other practical arts relating to the home. 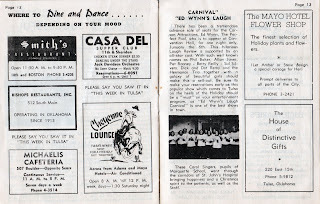 The midway began to intertwine with carnival shows previously seen with circus shows. 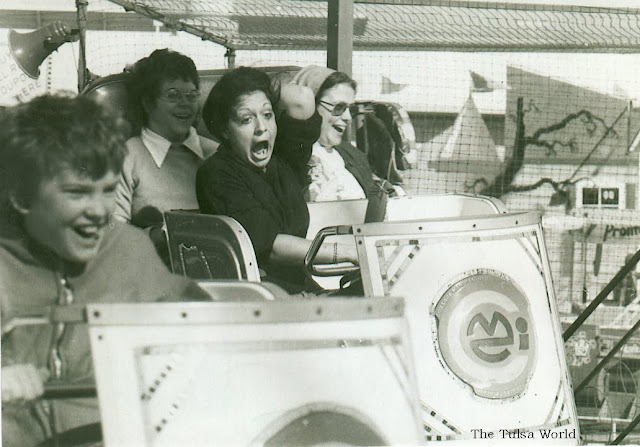 Rides, new inventions and oddities became popular. Here is a 4-room house made in a tree trunk. Interesting. 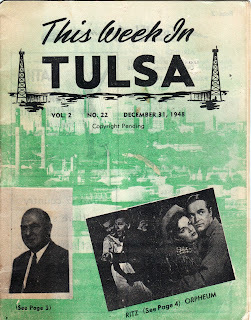 *Tulsa TV Memories has the actual Tulsa State Fair theme I am referring to in my title. 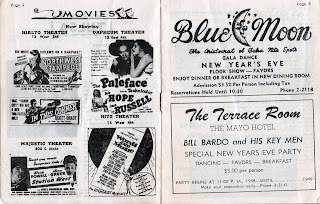 Click right under the fantastic 1965 fair ticket to listen to Here's To The Fair! 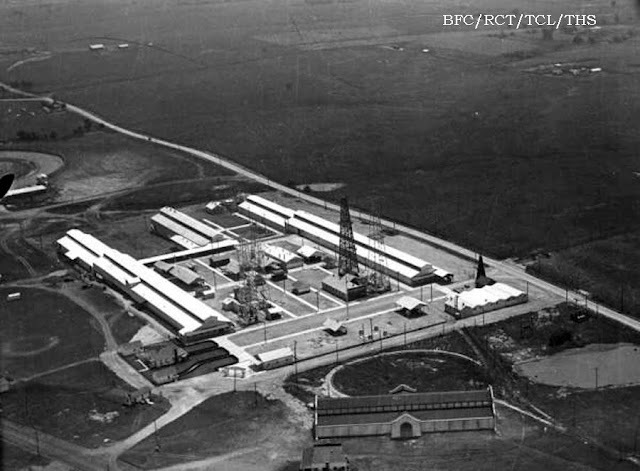 Being a smart businessman, when oil was discovered in the Glenn Pool, Brady realized the workers needed places to live and spend their money. 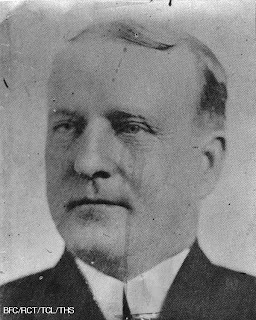 He built the Hotel Brady and helped ensure that rail cars ran on a regular schedule to the Glenn Pool. 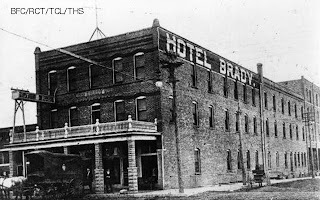 The original Hotel Brady was completed in 1905 as a wood framed structure wrapped in brick. It sat on the southwest corner of Archer & N Main Streets. 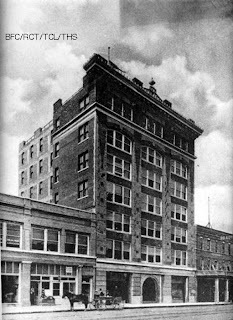 It was the first hotel in town with baths and was a gathering place for oil men and oil deals. 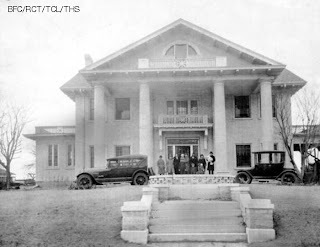 It was also here in March 1907, that members of the Oklahoma Constitutional Convention met, after completing most of their labors at Guthrie, and heard Haskell declare his candidacy for governorship. Eventually a new Hotel Brady was built next to the original. The new and the original Brady Hotels side by side. 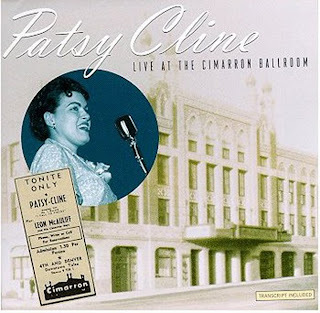 The wooden front entrance cover can be seen in the photo. 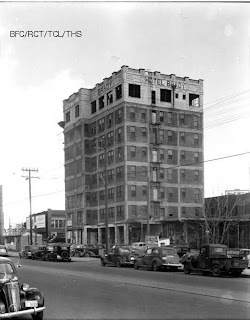 The new, larger, and taller Brady Hotel was billed as fire proof due to its building materials. A tea garden was located on the rooftop. A large pass-through joined the two hotels. 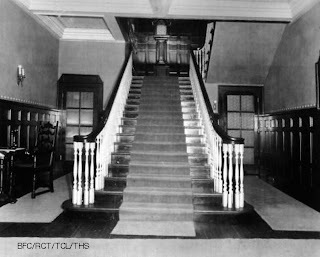 The pass-through, however, was wooden and in 1935 a fire “passed-through" from the original to the new hotel and destroyed it. 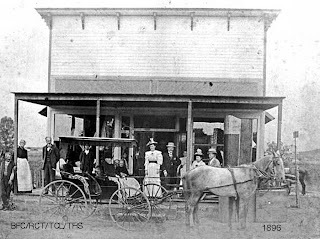 The hotel was not repaired following the fire in 1935, sitting empty and decaying until it was demolished in the 1970’s for Urban Renewal. 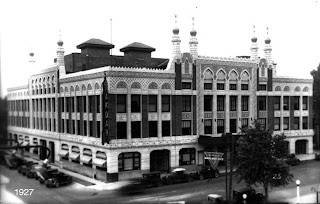 Brady also built what is now the Cain’s Ballroom in 1924 to serve as a garage for his automobiles. 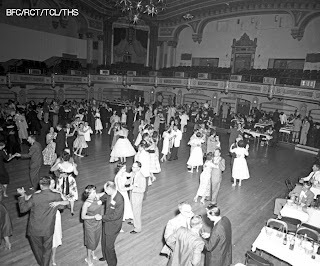 Madison W. "Daddy" Cain purchased the building in 1930 and named it Cain's Dance Academy where he charged $0.10 for dance lessons. 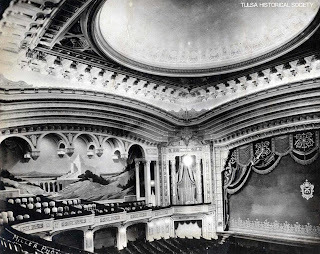 In 1920 Brady built a three-story home on a hilltop that overlooked Tulsa in what is now known as The Brady District. 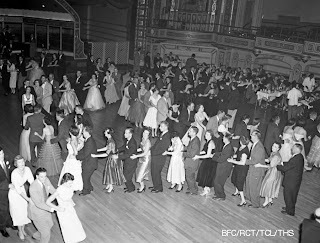 The mansion once played host to many grand events in the ballroom. Brady was active in the Sons and Daughters of the Confederacy so not surprisingly the walls featured murals of Robert E. Lee and Stonewall Jackson. In fact, Robert E. Lee’s birthday was always a celebration at the Brady Mansion. In 1925 Brady shot himself in the mansion’s kitchen. 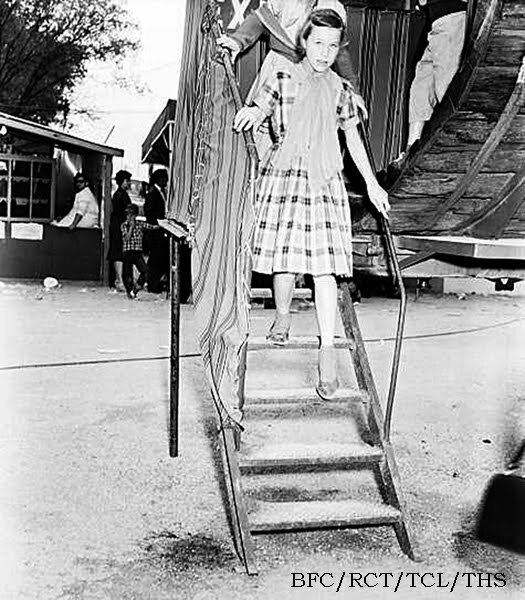 During WWII Mrs. Brady offered the mansion as a housing and entertainment center for soldiers. After the war she sold it. 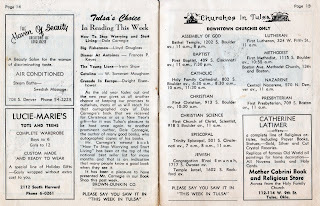 Mr. and Mrs. Brady are buried in the Oaklawn Cemetery along with other Tulsa founders. Love these candid street scenes. 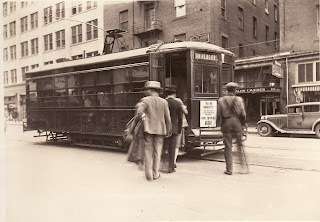 These were both taken in the same place and seem to be showing the difference between the sizes of the streetcars. 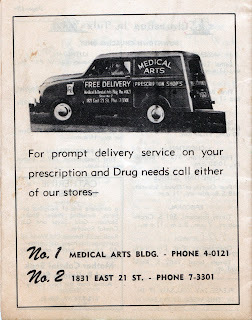 Written on this one: One of the Modernized & Double Truck cars of the United Service Company of Tulsa, Okla. The date stamped on the back of these is JAN 1931. 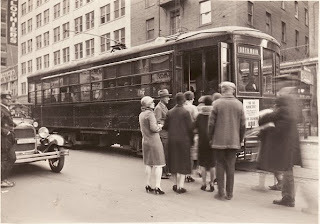 And you can see the sign on the front of both streetcars advertising "No No Nanette" showing at the Akdar Theater. 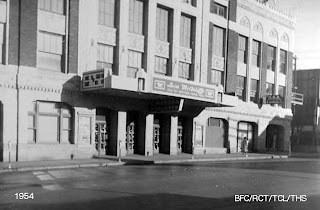 It was located at 221 W 4th (4th and Denver) where the bus station now resides. The building was designed by Rapp & Rapp. The sign on the front is for Marland Oil. 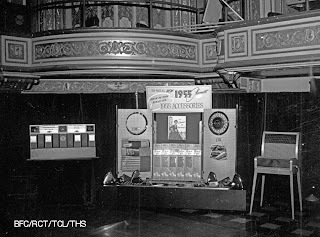 The Akdar opened Feb. 1, 1925 with an audience of 1,800 who saw the Ziegfeld musical comedy "Sally." 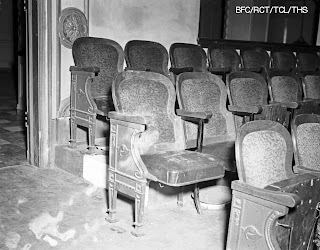 The Akdar showed movies as well as "first class acts". What a beautiful, ornate theater. Check out the murals and the detail. 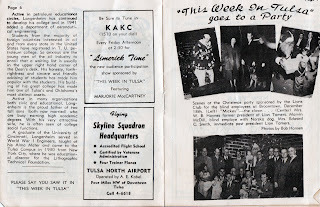 The Tulsa Civic Symphony (later the Tulsa Philharmonic) premiered at the Akdar in 1927. 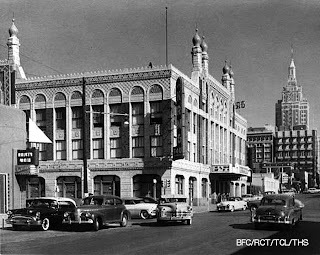 Looking northeast across 4th & Denver at the Akdar Temple Building in 1952. 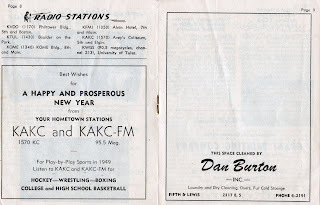 KRMG Radio Station is located on the first floor. 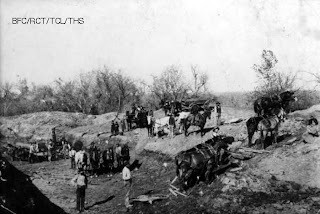 Leon McAuliffe and his Cimarron Boys called the Cimarron home. Leon was the former steel guitar player for Bob Wills. 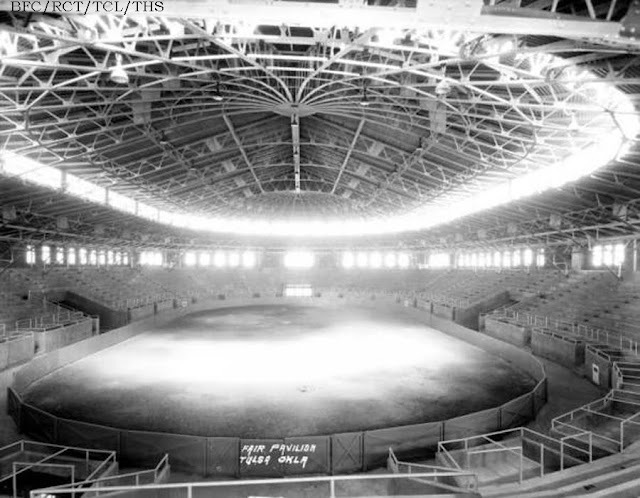 The wonderful Akdar/Cimarron was torn down in 1973.